"Funny, thought-provoking and consistently entertaining"
"Border Tales is essential theatre for the political climate of today." "Excellently performed… Border Tales is a big, brave, cacophonous attempt to show what it means to live in multicultural Britain today." 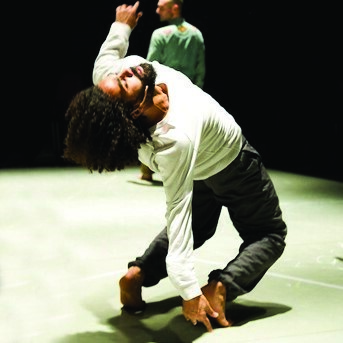 "Protein shares with us stories and scenarios that make us laugh, cringe and reflect"
Protein presents a thought-provoking yet poignant commentary on multicultural Britain through dance, live music and dialogue compiled from the performers’ personal experiences. Border Tales looks at post-Brexit Britain through the eyes of an international cast and gazes satirically on stereotypical thinking about migrant outsiders and bigoted homelanders. Commissioned by Bath Dance, ICIA Bath, DanceEast, DanceXchange, Dance Manchester and The Place.